Britain is going to leave the European Union. That, if none of the details, was decided by the 23 June referendum. Most Brexit supporters are content with this, or are fighting to ensure our separation from EU institutions is as complete as possible. But for some this isn’t enough. They don’t just want to see Britain out of the EU, they want to see the EU itself collapse. This I’m afraid, from a British perspective, is madness. Regardless of whether we care for the institution the disintegration of the EU would be a national security disaster for Britain. It would hugely destabilise Europe, boost our regional adversaries and political radicals and in all probability lead to the resurrection of European politics based on great power rivalry. For this reason sensible ‘Leave’ and ‘Remain’ supporters have a duty to make it clear that they oppose efforts to undermine the EU, and that they want Britain to maintain a friendly relationship with the EU after Brexit. 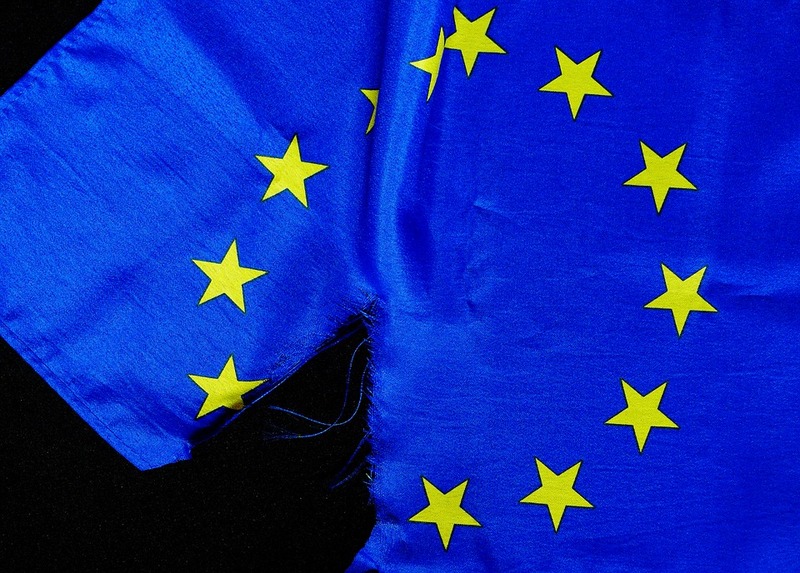 The European Union is, and always has been, far more than just a transactional economic body. It’s a value based institution, committed to the promotion of liberal-democratic values and institutions and conflict avoidance across the continent. And in this respect it’s had a good deal of success. The EU has done much to promote democratisation, first in the Mediterranean nations of Spain, Portugal and Greece, which escaped from military-authoritarian Governments in the 1970s, and later in Eastern Europe after the collapse of the USSR. Potential EU membership acts as a carrot, encouraging countries to democratise and adopt free market economic institutions, in return for which they get unrestricted access to the European single market and the promise of a more ‘Western European’ lifestyle. The impact of this offer, and incorporation within the Western alliance more generally, has been palpable in terms of advancing liberty and democratic values. In you want proof of this just compare the ranking of those East European states which have joined the EU, and those like Belarus, Ukraine and Moldova which have not, on the 2016 Press Freedom Index or Freedom House’s latest annual report. Moreover, considering the continents blood drenched history the extent of peace between/within EU member states has been impressive. No two EU member states have ever gone to war, whilst internal violence has been limited to a number of regionalised terrorist campaigns. By contrast the relatively small section of Europe which remained outside the EU’s orbit has seen considerably more, and substantially more destructive, conflicts. The 1991-95 Yugoslav Wars, the 1992 Transnistria War, the Chechen Wars of 1994-6 and 1999-present, the 1998-99 Kosovo War, the 2008 Russo-Georgian War and the 2014-present war in Eastern Ukraine have one unifying factor. They all took place outside of the EU. There is a crucial division between British Eurosceptics. Some accept the role the EU plays in upholding the present European order, and have no desire to see it collapse, though for a variety of reasons they don’t think British membership is in our national interest. Others however go further, seeing the EU as an inherently undesirable institution. They don’t just want Britain to leave, they want the EU itself to fall to bits. Veteran Eurosceptic Sir Bill Cash claims the EU has ‘morphed into an increasingly undemocratic German-dominated Europe’. After the Brexit vote Farage pledged to travel around Europe supporting other movement which want their respective countries to leave the EU. Indeed he has already taken his anti-EU campaigning beyond Britain, campaigning in the Netherlands against a proposed EU-Ukraine association agreement in April 2016, and previously backing Eurosceptic causes in Ireland. We can’t allow those Eurosceptics who want to destroy the EU to define, and poison, our future relations with the body. Negotiations between the UK and EU over Brexit and our future relationship with the block will inevitably be tough, and will provide a fertile ground for anti-European sentiment to grow in the UK. But we shouldn’t ignore the obvious truth that the survival, and prosperity, of the EU is in the clear interests of Britain. Economically the case is obvious. In 2015 44% of UK exports went to the EU, so the disintegration of Europe would clearly have an economic impact on the UK. But the geo-political case is stronger still. The parties most likely to benefit from the EU’s collapse, and the likely accompanying economic crisis, are those of the nationalist-authoritarian right. The likes of Marine Le Pen, Geert Wilders and Norbert Hofer. In short a Europe based around liberal-democratic values and cooperation would be replaced by one characterised by political authoritarianism and inter-state rivalry. Authoritarianism is already gaining ground in Eastern Europe, particularly in Poland and Hungary, and this would likely intensify whilst Russia’s regional influence would increase. In such a polarised Europe the probability of a major war, which could well involve Britain, would be greatly increased. European leaders have admittedly made a number of significant mistakes, which have ended up weakening liberal-democratic institutions by feeding populism, especially of the nationalist-authoritarian variety. The decision of key European leaders, most notably German Chancellor Angela Merkel and European Commission President Jean Claude-Junker, to allow the EU’s external borders to disintegrate during the 2015 migration crisis was a disaster for Europe’s political stability. It’s hard to imagine that, had Europe’s leaders taken the conscious decision to do everything in their power to boost the continents radical right, that their policies would have been that different. Moreover the structural problems inherent in the Eurozone, most prominently the fact that Eurozone institutions can’t control the blocks fiscal policy, have turned the Euro into a dangerous millstone around the neck of the entire European project. And it’s a weight which could still cause that neck to snap. Despite these serious failures, and the institution’s many accompanying absurdities, the EU remains a positive force in European politics. Indeed, beyond this, it remains one of the foundations of the liberal-democratic order in Europe. Following the election of Donald Trump as American President, who has questioned America’s commitment to NATO and befriended Vladamir Putin, the EU is also likely to become increasingly important in terms of European defence. Considering the growing strength of the European authoritarian-right, and the ongoing weakness of the Eurozone, the disintegration of the European Union is certainly possible. We should be in no doubt this would significantly undermine the security and economic prosperity of the British people. It would restore an earlier form of European politics, based on inter-state rivalry, which in the past has invariably led to war. Thus British politicians and officials, including those who backed Brexit, should help preserve the integrity of the EU. We should see the EU as an ally, albeit an imperfect one, and shouldn’t allow the inevitably EU-UK tensions during Brexit negotiations to produce a broader anti-Europeanism. The instability of past European orders has been disastrous for the continent. We can’t allow those conditions to be recreated.